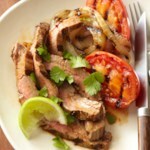 Drain and discard the marinade before grilling this beef main dish. Keep the calories and fat low while making the easy recipe suitable for diabetic meal plans. To prepare the corn salsa: In a medium bowl, combine corn, salsa verde, and tomato. Cover and chill for 6 to 24 hours. Meanwhile, trim fat from steak. 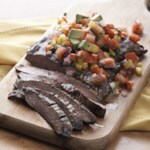 Score both sides of steak in a diamond pattern by making shallow diagonal cuts at 1-inch intervals. 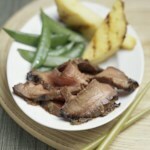 Place steak in a resealable plastic bag set in a shallow dish. 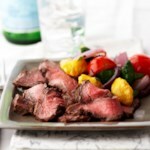 To prepare the marinade: In a small bowl, combine Italian salad dressing, pepper, Worcestershire sauce, and cumin; pour over steak. Seal bag; turn to coat steak. 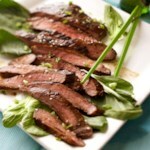 Marinate in the refrigerator for 6 to 24 hours, turning bag occasionally. Drain steak, discarding marinade. Place steak on rack of an uncovered grill directly over medium coals. Grill for 17 to 21 minutes or until done (160°F), turning once. 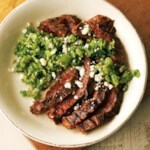 To serve, thinly slice steak diagonally across the grain. 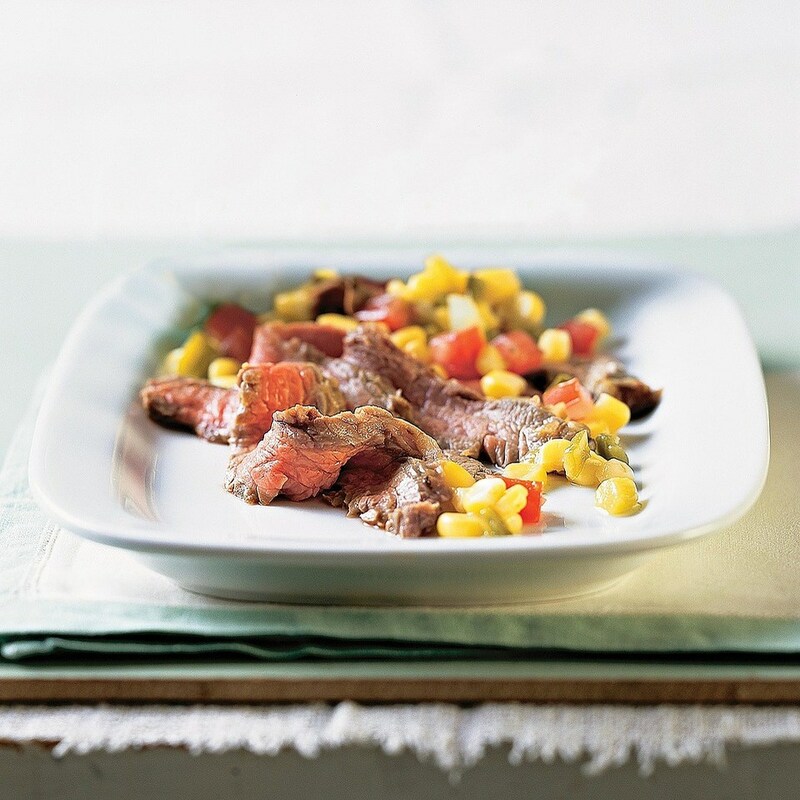 Serve steak with corn salsa.